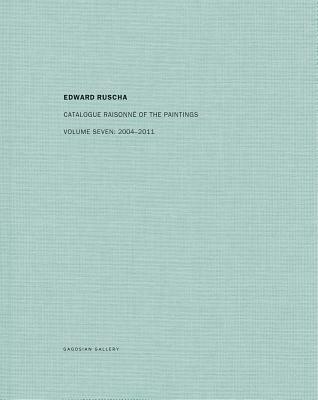 This seventh volume in the ongoing documentation of Ed Ruscha's (born 1937) entire corpus of paintings covers the years 2004 to 2011, comprising 230 paintings and studies that are reproduced in color and accompanied by detailed exhibition and bibliographic histories. The work of this period extends various earlier series, including Ruscha's "mountain" paintings, a number of which now incorporate texts from Jack Kerouac's novel On the Road. Other important works take decay, waste and retrieval and the passage of time as themes, notably the Course of Empire series (Ruscha's contribution to the 51st Venice Biennale) and the Psycho Spaghetti Western paintings. This 550-page volume, copublished by Gagosian Gallery and Steidl, is edited by Robert Dean with Lisa Turvey and includes essays by Thierry de Duve and Linda Norden. Each volume of the catalogue has a stitched binding and a cloth cover with silver-colored embossing protected by a printed slipcase.